When pipes freeze or burst, the water damage that happens can be quickly addressed by SERVPRO of Plainfield/Naperville South. One of the most common types of property damage is water related that happens during extreme cold temperatures. 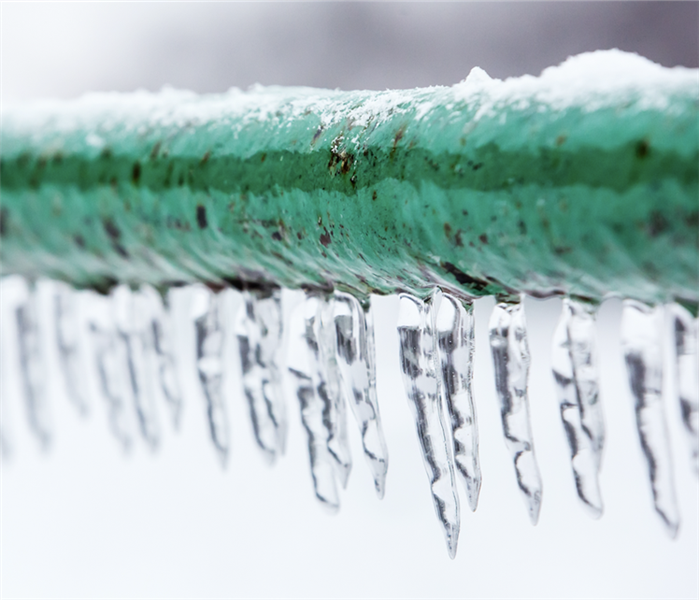 Exterior pipes can freeze, water lines can burst from freezing, and water may leak out of clogged lines. When these cold weather events happen in the dead of winter SERVPRO of Plainfield/Naperville South prepares our staff for a rise in calls, as well as calls at all hours. When pipes freeze or burst and you need a professional response quickly, call SERVPRO of Plainfield/Naperville South at 630-384-1040. If mold is discovered, call SERVPRO of Plainfield / Naperville South for proper handling. During the fall, as decorations are unpacked from a year ago, mold is often found when you uncover those old boxes. In moist, dark basements and drafty corners of attics, these are breeding grounds for mold if a source of moisture is nearby. 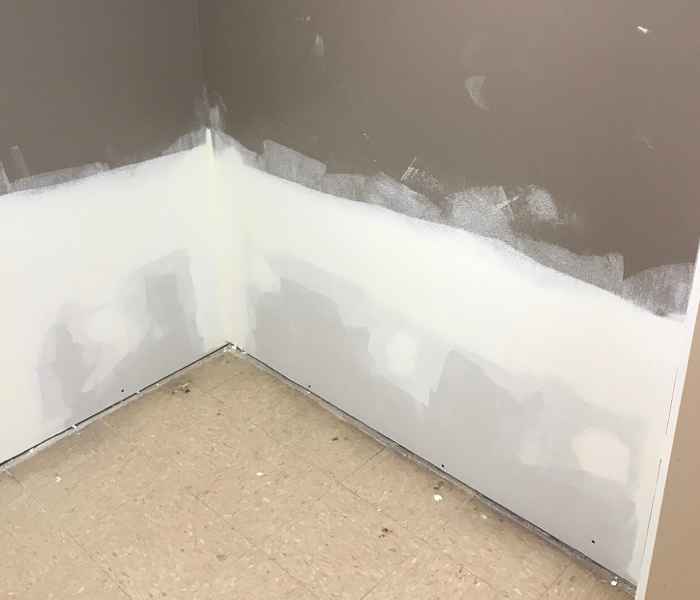 If you find mold, don’t try to handle the removal yourself, SERVPRO of Plainfield / Naperville South can help mitigate the situation. Find the source of the mold and eliminate future development. Is there a drip or a source of water entering your basement or attic? If so, that needs to be dealt with. We will provide an air scrubber and contain the space to prevent spores from becoming air-born and contaminate the remainder of the property while mitigation takes place. 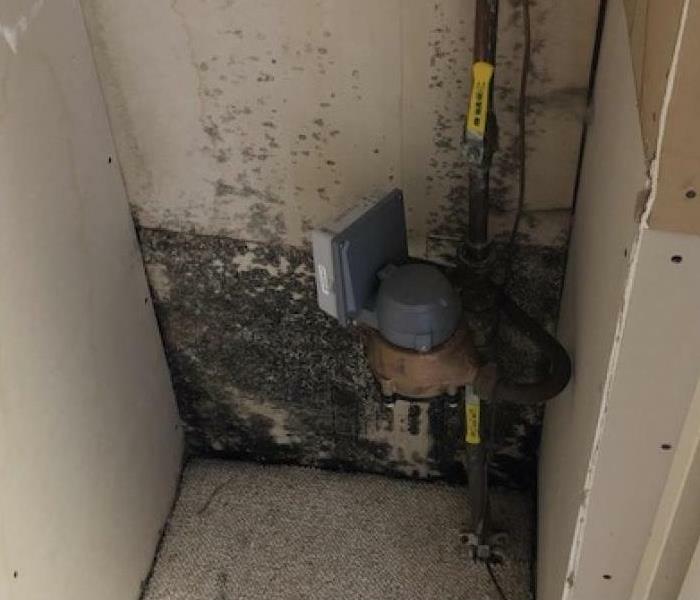 SERVPRO of Plainfield / Naperville South can help with your mold problem and can arrange for the proper disposal of all mold, cleaning and decontamination. If mold is found in your home or basement, call SERVPRO of Plainfield / Naperville South to help you: 630-384-1040. If your business has been impacted by water or fire damage, call SERVPRO of Plainfield / Naperville South. After water, fire, or other damage impacts your business, get things back to normal quickly with restoration service by SERVPRO. Capable of 24/7 emergency mitigation, as well as commercial cleaning and reconstruction, we can help get you and your business back to normal quickly. With a trained and experienced staff, we have the capabilities, equipment, and first-hand knowledge of how to help businesses recover from property damage. 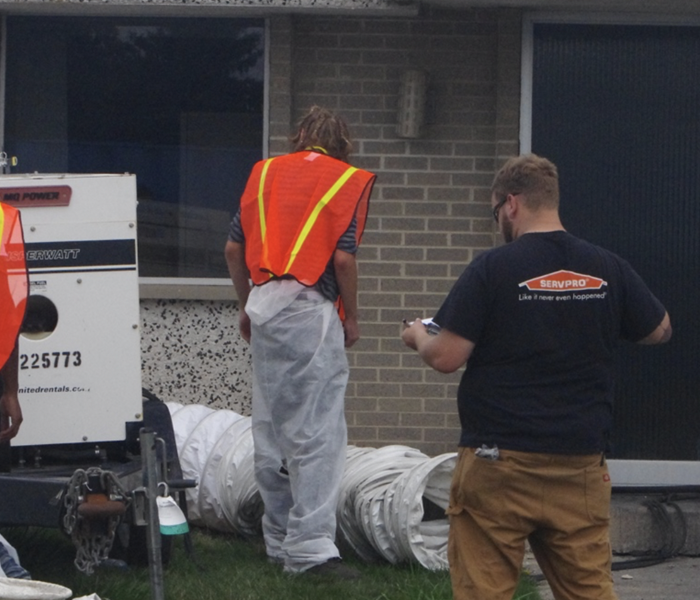 Our restoration staff has been responding to commercial and business property damage throughout Plainfield and Naperville South for years. Whether it is a retail property, large office building, or a manufacturing facility, our staff can respond with the proper restoration equipment needed to help overcome damage. When water damages your home it can affect walls, furniture and most definitely the flooring. In some cases, the flooring has to be fully removed but not always. Using a combination of equipment and experience, SERVPRO may be able to save floors using various techniques and equipment. In some instances we don’t have to pull out wood floors and turn your home into a construction zone. 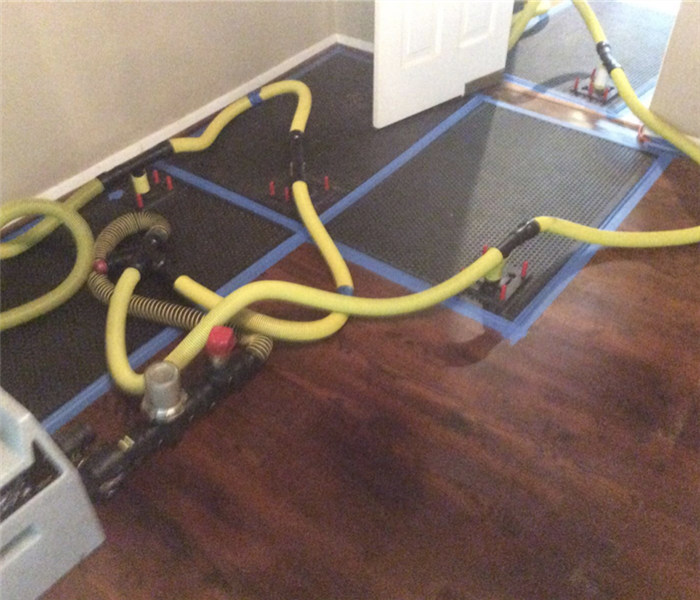 If possible, we’ll use equipment to dry out floors in a matter of days, saving the original flooring, and saving you the experience of a remodel in your home. 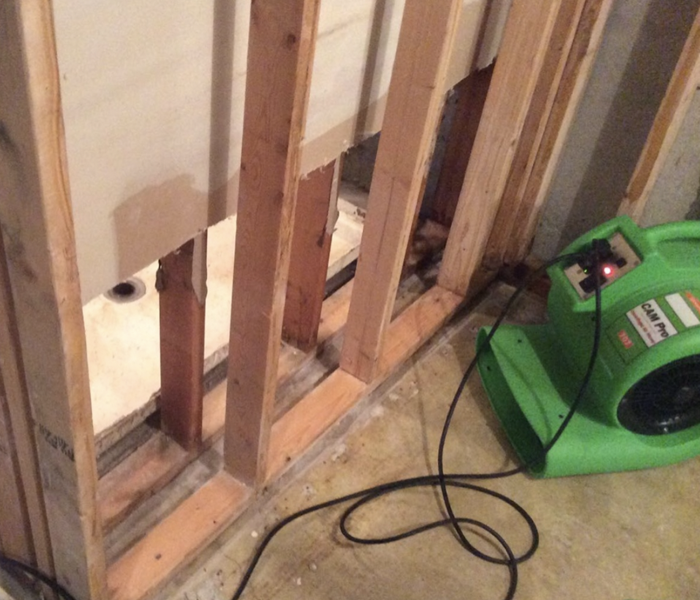 Depending on the situation, your local SERVPRO of Plainfield / Naperville South may have the equipment perfectly suited to provide a quick recovery from a water overflow, flood or other form of water damage. Many types of equipment are stored in our warehouse to provide drying, cleaning and recovery, all meant to help recover quickly and return your home back to normal. 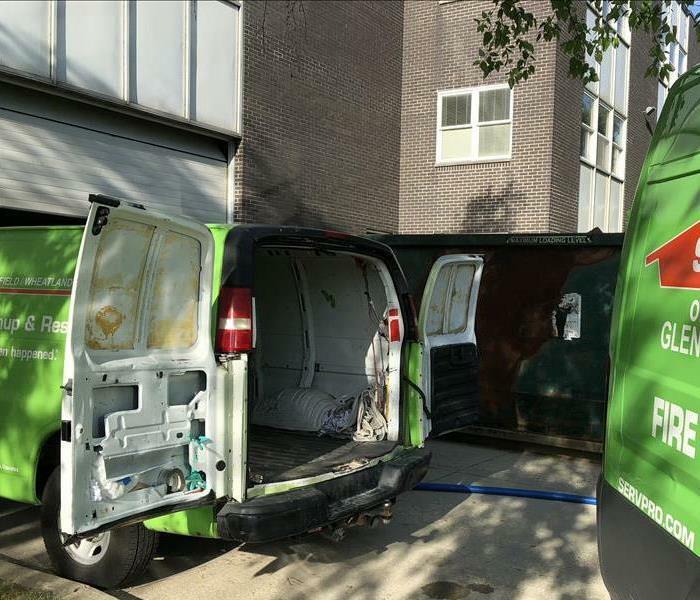 If you experience some form of water damage, call SERVPRO of Plainfield / Naperville South for an estimate for restoration and a determination of which drying equipment we can use to help you recover. Property damage can happen anywhere. Fires, floods, storm damage, or other types of damage can impact homes, as well as businesses and commercial property. SERVPRO of Plainfield / Naperville South regularly responds to water and fire damage in large, commercial buildings and businesses of all sizes. If a commercial building or business experiences any form of damage to their operation, it is imperative to get the situation under control and up and running as quickly as possible. Each day not open or operating means that people can’t work, with business interruption having a profound impact on the local economy and beyond. These are the situations when SERVPRO can help and restore damage quickly. SERVPRO of Plainfield / Naperville South responds to storm, fire, flood or other types of property damage and helps get your commercial building and/or business back up and running as quickly as possible. As part of the national Disaster Recovery Team, SERVPRO of Plainfield / Naperville South is fully prepared to respond in force to any size disaster, bringing all the people and equipment necessary, including our disaster trailer. If the damage affected a portion of a living room, we will respond there as well. If you have standing water, flood damage, or other water issues in your home or office, SERVPRO of Plainfield / Naperville South can help.